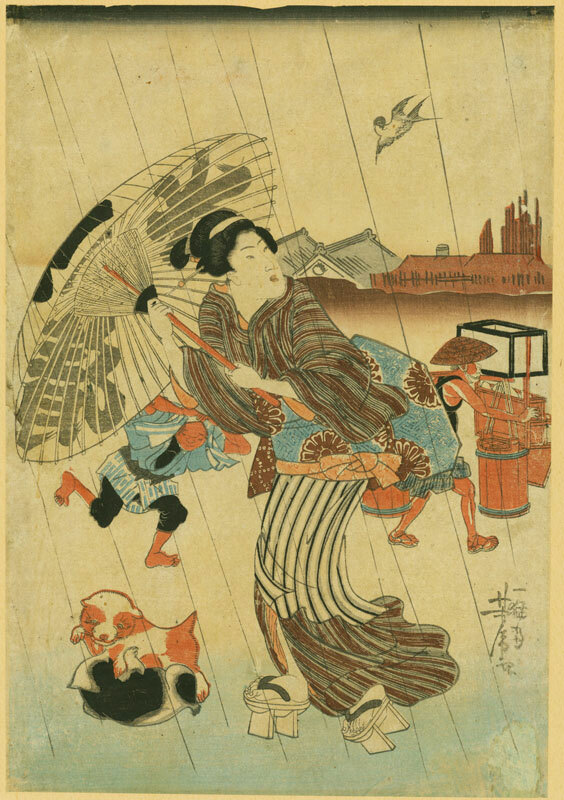 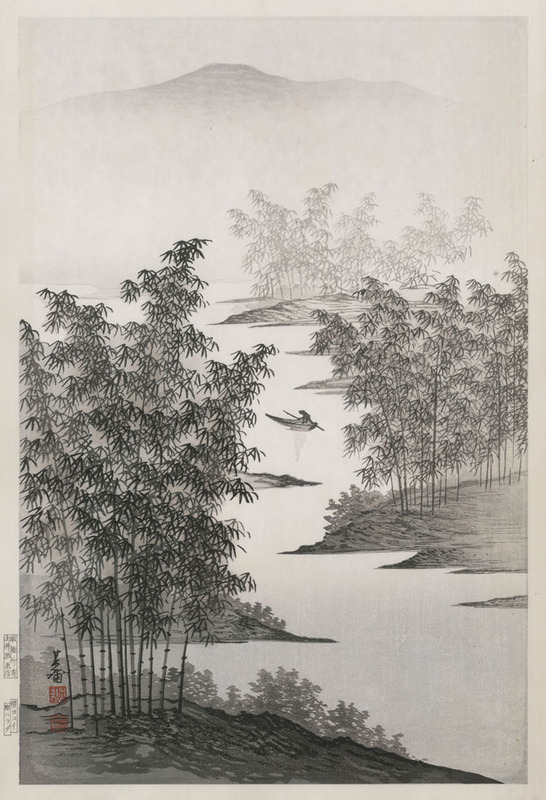 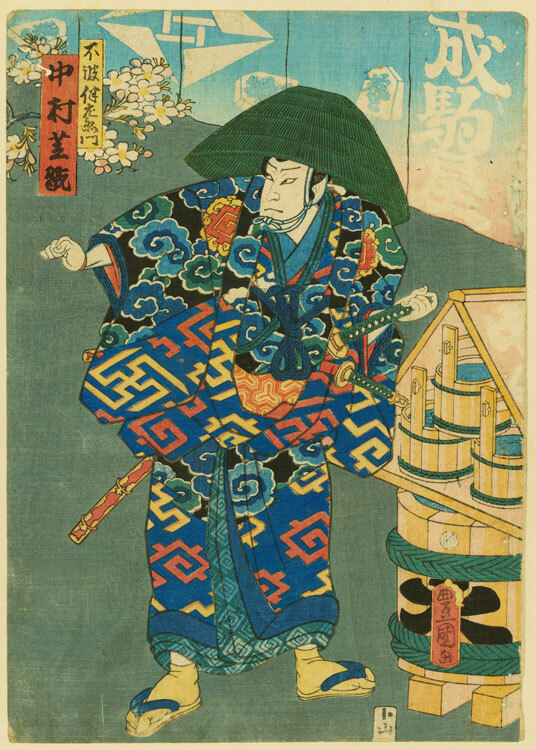 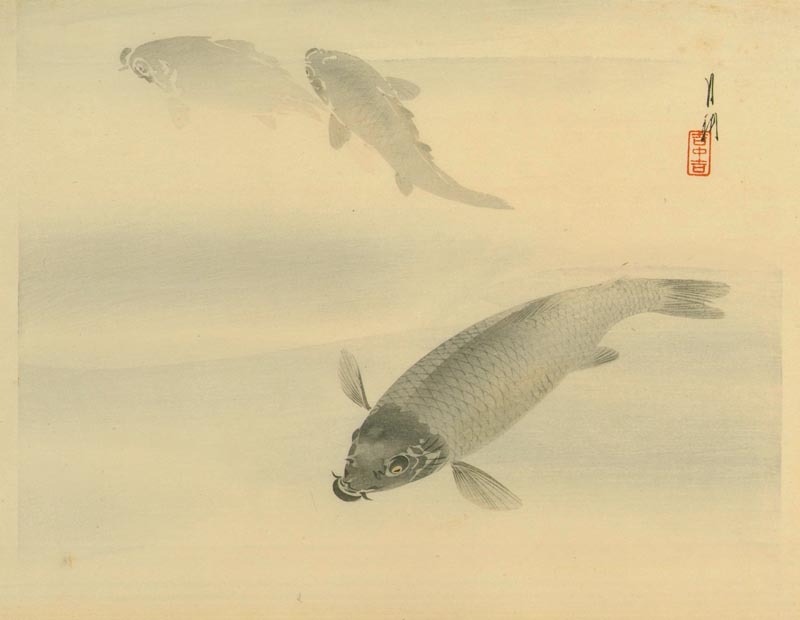 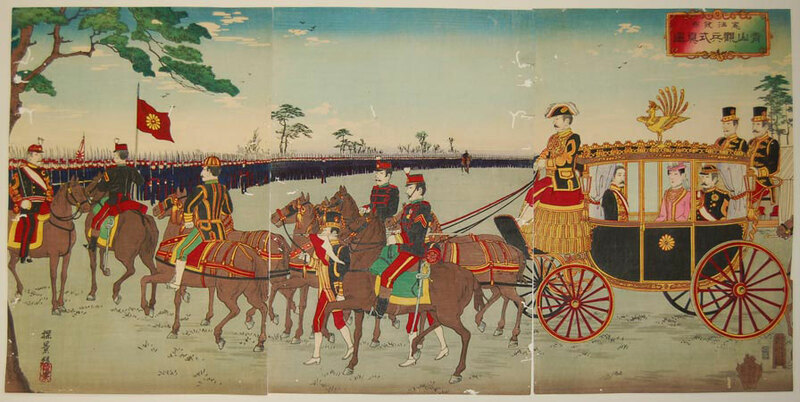 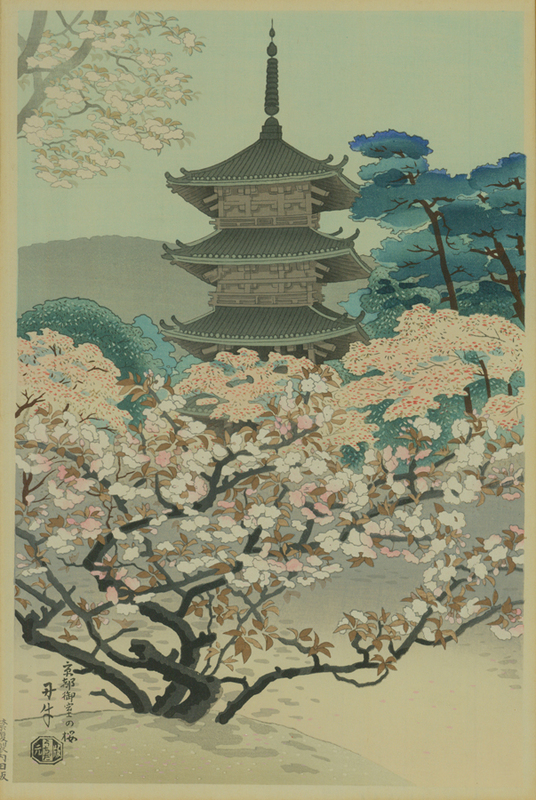 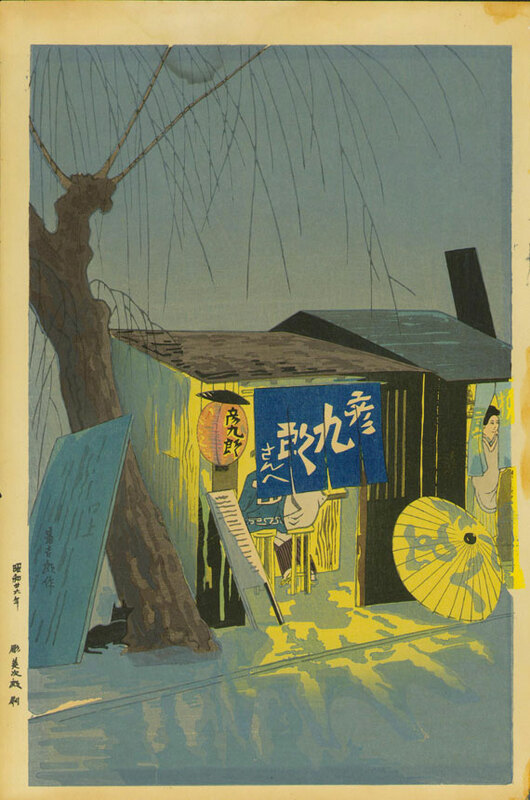 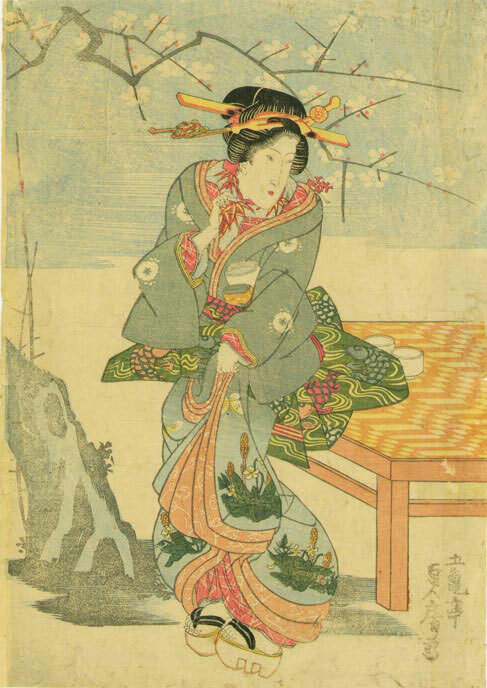 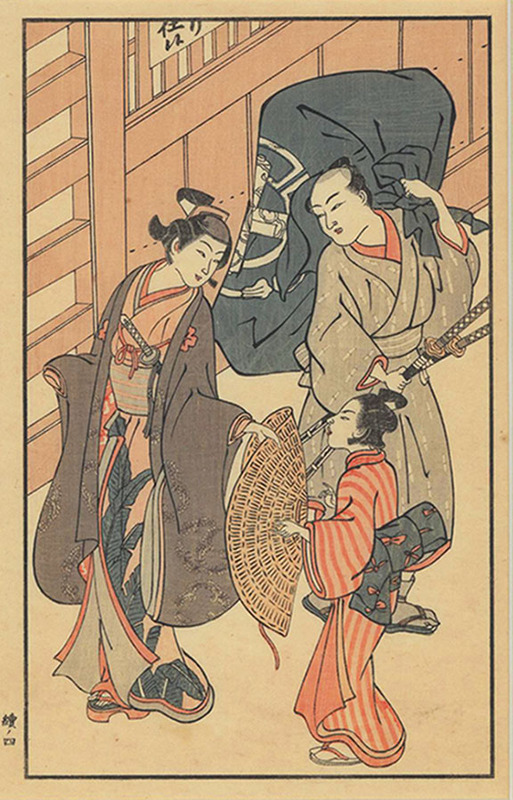 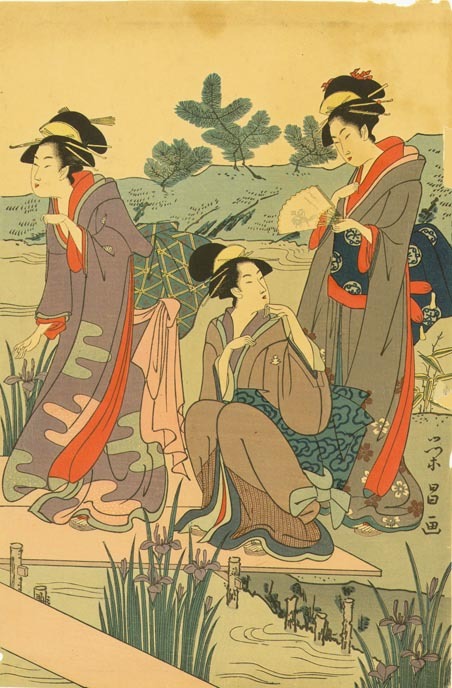 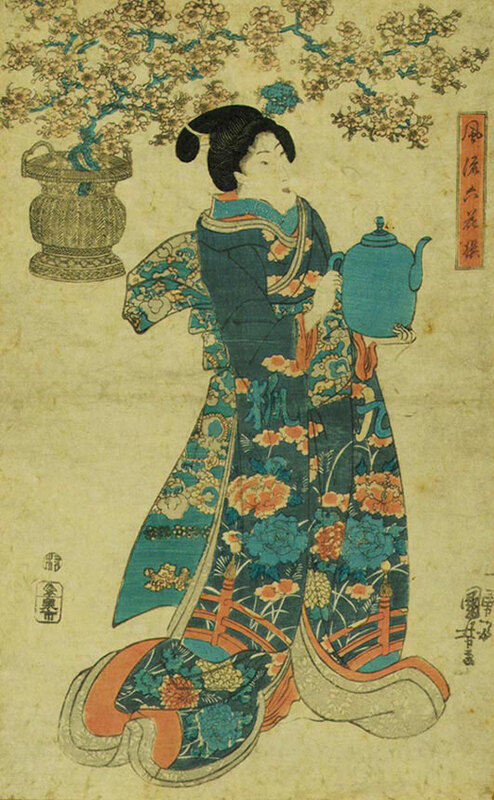 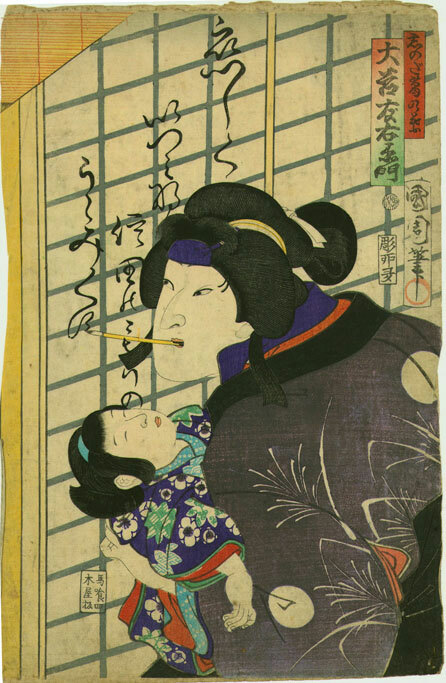 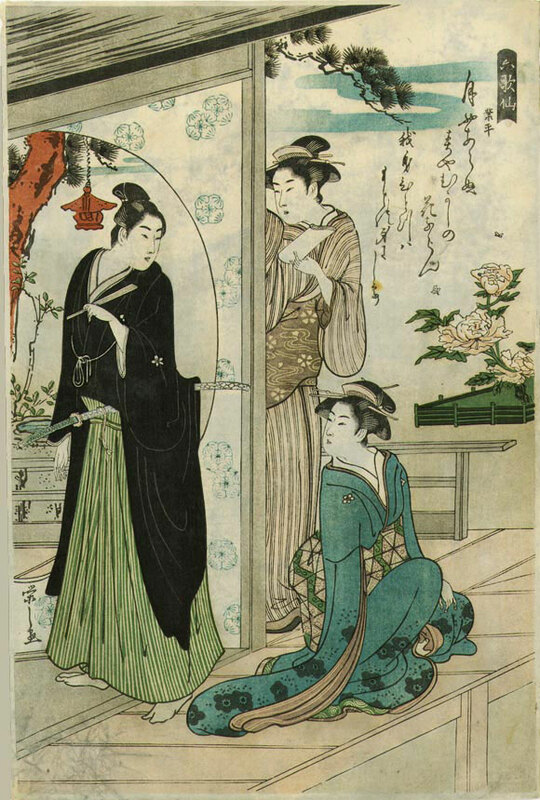 An atmospheric original print by Japanese artist Imoto Tekiho, this image measures 15 3/8 x 10 1/8 inches, c. 1940, published by Doi Hangaten, carved by Harada, printed by Yokoi, with full margins, publisher's stamp and artist's seal. 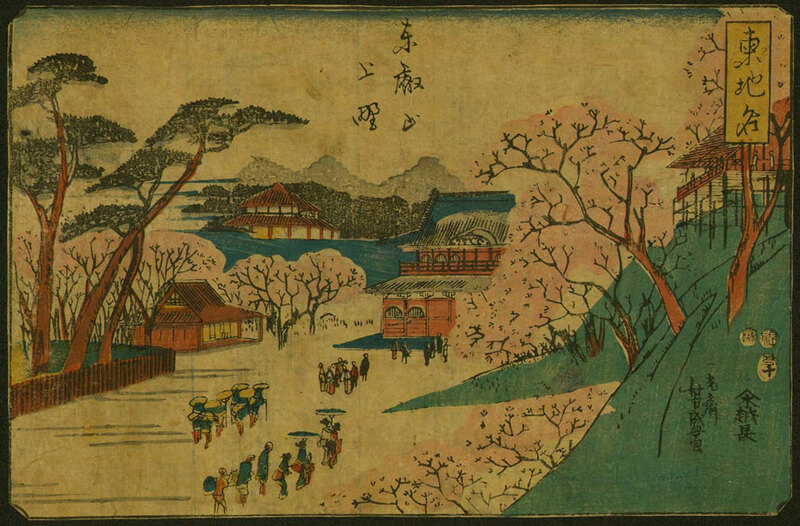 Woodblock with colors, image size 9 3/8 x 6 inches, 20th Century, unknown seal l.l., framed. 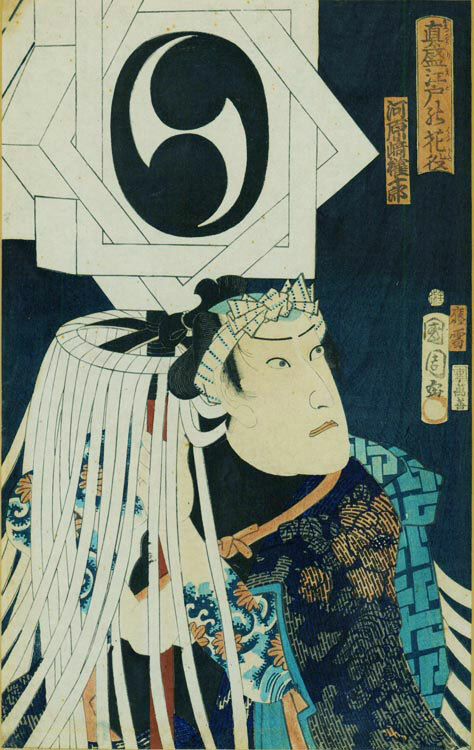 Woodblock, image size 14 1/2 x 9 1/2 inches, signed.